Thanks to its DuraSkin™ anti-tear fabric, the Grand Prix 4-Season holds up under extreme conditions. In the Paris - Roubaix race, the "Hell of the North", cyclists equipped with DuraSkin™ enhanced tyres have the fewest tyre related problems during the race. 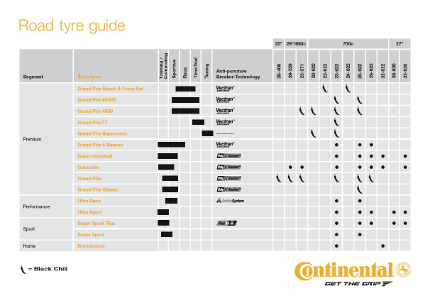 Incorporating our special wear resistant carbon compound, the tyre is characterised by very good mileage performance as well as excellent adhesion on wet roads and at low temperatures. With the 23mm, 25mm and 28mm versions, the Grand Prix 4-Season makes it possible to select the right tyre for various road qualities and comfort requirements. A double Vectran® Breaker belt under the tread raises the puncture and cut protection to the highest level available on the market. "The Continental GP 4-Season is the standard: full score in all categories! The tyre is lightweight and rolls well. 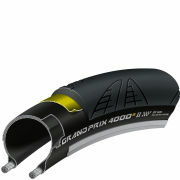 It achieved by far the best result in offering fantastic grip and puncture protection, even in the wet and cold. 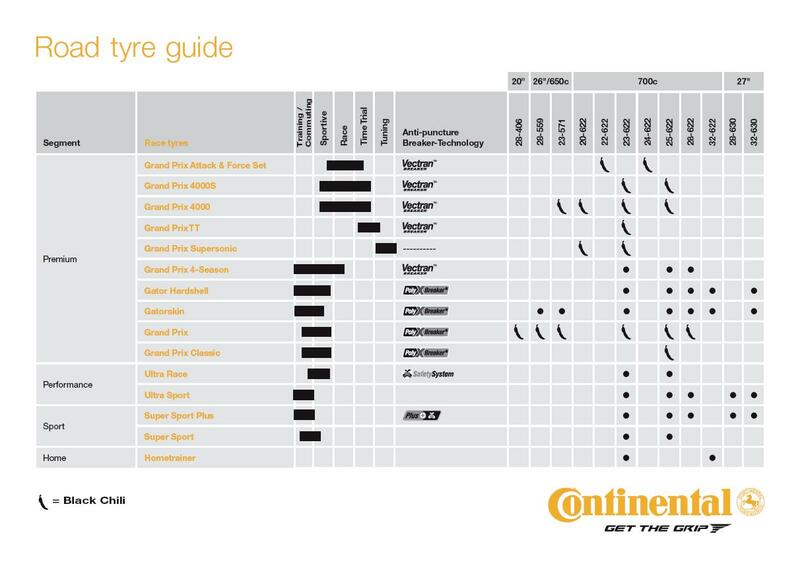 Not just the top winter tyre." The test results from Road Bike Magazine 02/11. Good handling. High Mileage and long shelflife. One of my friend run over 8,000km. with no puncture eventhough sometime ran over the breaking glass. I believe that it can take up to 10,000kms. Have put @ 2000km + on these tires, 28mm. 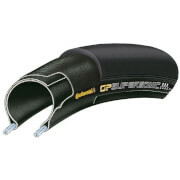 Run 80psi on six series Domanie through all weather and road conditions. Fast on dry and grippy on wet pavement. As advertised, these are a very durable and tough tire. Also handles well on hard pack dirt and gravel. Highly recommended as a shoulder season and wet weather tire. Absolutely love these tires! 25mm Paired with Vittoria latex inner tubes running 90lbs in the front and 100lbs in the rear( me 190lbs) has proven to give me not only a smooth ride but puncture free on these desert roads laden with thorns and sharp rocks! Tried the 4000 but they could not stand up to the rock cuts! 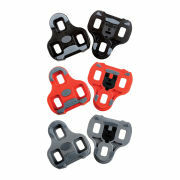 Your shop offers, almost, any item for road/mtb biycycle with great price!! The shipping is fine and service are perfect!! I was great tyre.. and save money too. I very happy to put 5 star rating.... i will recommend this to my fellow cyclist..